Reliable Golf Carts, Inc. is a family owned and operated business with the belief that our customers needs come first. Our owner is a disabled veteran and upholds the commitment to meeting all of our customers wants and desires. We provide short term rental golf carts for events, along with short or long term lease golf carts for security and/or maintenance purposes. We also service all makes and models such as Club Car, E-Z-Go and Yamaha. Reliable Golf Carts is a state certified, family oriented business with competitive pricing. A high percentage of our business is from customers we have built relationships with that refer us to other friends and family. We look forward to the opportunity to earn your trust and provide you with the best golf cart sales and services in Palm Beach County! 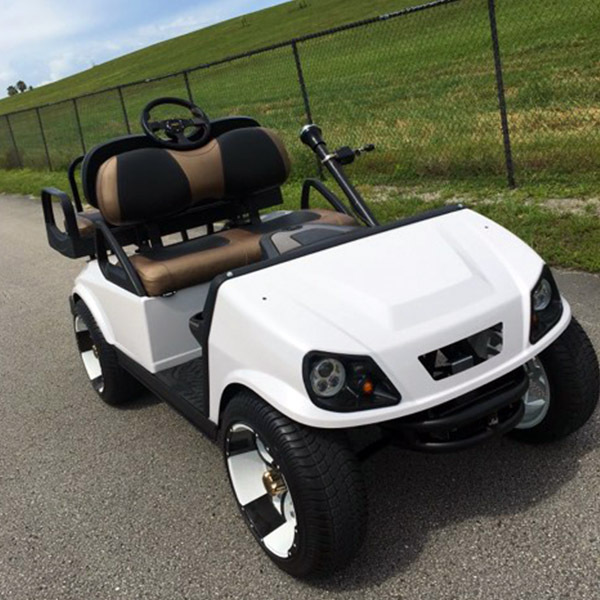 Reliable Golf Carts is ready to help with all of your purchasing, leasing, rental, custom builds, repairs and part needs. Give us a call today!